Who is Lennie Lightwave? Lennie Lightwave was the cartoon mascot created for the original Fiber U conference in 1993. Fiber U is the FOA's free online learning website. Here you will find free online self-study programs, tutorials, textbooks, videos and links to other FOA pages that will help you learn about fiber optics and premises cabling. When you finish a free Fiber U online self-study program, you can get a "Fiber U Certificate of Completion" for the course for a nominal charge. Fiber U courses may be used as preparation for the FOA certification programs. 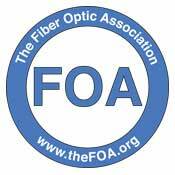 All Fiber U material and programs are copyright FOA. For information on fair use of this material, go here. This is a 10-part series of self-study lessons covering the basics of fiber optics. You can use the FOA Online Reference Guide to Fiber Optics or a copy of The FOA Reference Guide to Fiber Optics, available in printed or eBook form. Study the reference materials and test your comprehension with the online quizzes. Designed as a preparation for those taking the CFOT Certification directly or planning to attend an FOA-approved course and want to prepare ahead of time. Complete the course and you can take the Fiber U Certificate of Completion exam. This 8-part self-study program covers premises cabling, including copper (UTP and coax), fiber and wireless (or more precisely, cabling for wireless.) This program uses the FOA Online Reference Guide to Fiber Optics, Premises Cabling Section or a copy of the FOA Reference Guide to Premises Cabling, available in printed or eBook form. Study the reference materials and test your comprehension with the online quizzes. Additional reading is included for advanced study. Complete the course and you can take the Fiber U Certificate of Completion exam. While you cannot learn hands-on installation skills necessary for fiber optic techs by taking an online course, if you already have the equipment, the Fiber U Basic Skills Lab can help you learn on your own. 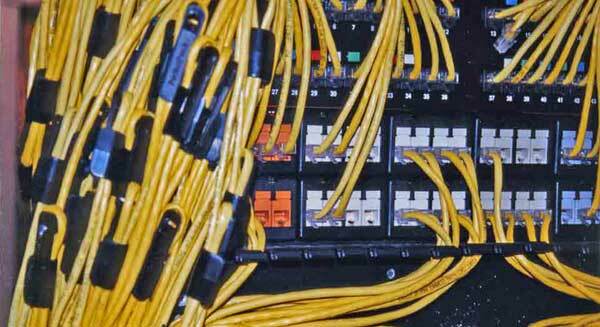 In this course we use FOA YouTube Videos and "Virtual Hands-On" tutorials to give you step by step instructions and lots of hints on how to prepare cables, splice, terminate and test them.This course is designed for those who have already completed the Basic Fiber Optics course, have access to equipment and a variety of components and want to learn the processes of fiber optic installation on their own. FOA has extensive training programs and certifications on all aspects of fiber optic cable plant design, installation, testing and operation, but most of the outside plant (OSP) programs like the one below begin at the point of preparing the cable for splicing, termination or testing. 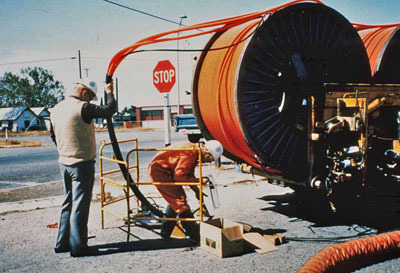 This program takes a step back and looks at the process of construction of the cable plant up to the point of installing the cable for underground, direct buried and aerial installations. The Fiber U Outside Plant Fiber Optics self-study program below takes over for the next steps in installation. Complete the course and you can take the Fiber U Certificate of Completion exam. This 10-part self-study program on outside plant fiber optics covers the outdoor networks used by telcos, wireless operators, CATV companies, utilities, etc. This program uses the FOA Online Reference Guide to Fiber Optics, OSP Section or a copy of The FOA Reference Guide to Outside Plant Fiber Optics, available in printed or eBook form. Study the reference materials and test your comprehension with the online quizzes. Additional reading is included for advanced study. Note: this is an expanded version of the Basic program above to include specific issues of OSP installations. Complete the course and case study and you can take the Fiber U Certificate of Completion exam. The Fiber U Fiber Optic Testing self-study program is aimed at everyone working in fiber optics. This 6 part series of lessons covers the full scope of fiber optic testing, one of the most complex topics in fiber optics. We've divided the course into lessons that cover an overview of fiber optic testing, test tools and instruments, visual testing, insertion loss, OTDRs and a catch-all final lesson covering a number of other topics. We use the FOA YouTube Videos for most of the lessons plus pages from our online guide to provide the basic materials for study but we also provide links to many additional topics that may apply to your particular applications. For those just interested in OTDRs, there is a separate program on that subject below. Complete the course and case study and you can take the Fiber U Certificate of Completion exam. This is a 4-part series on understanding one of the more important testing tools in fiber optics. OTDRs are valuable test tools but require more depth of understanding to use properly. This self-study program will review fiber optic testing, look at how OTDRs work and how their test data is analyzed. It also explains testing artifacts like "gainers" and "ghosts" that can be very confusing. This program uses the FOA Online Reference Guide to Fiber Optics, OSP Section or, for Lesson 1 only, a copy of The FOA Reference Guide to Outside Plant Fiber Optics, available in printed or eBook form. Part of this course is a free OTDR simulator you can download and run on your PC. Complete the course and case study and you can take the Fiber U Certificate of Completion exam. This 8-part series of self-study lessons is aimed at designers and managers needing to know how to design, install and operate a fiber optic network. It's not how to create drawings - that's another part of design but specific to the software or method used to create drawings! It's about how to evaluate customer needs for communications links, choose equipment, design the cable plant, choose components, create a plan, choose contractors, pick compoents, manage the install and finish the paperwork. The final lesson is 9 case studies of various networks where you have to make the right choices. This course assumes you have a basic knowledge of fiber optics at the CFOT/CPCT level. If not, take the Basic Fiber Optics or Outside Plant Fiber Optics course above. Complete the course and case study and you can take the Fiber U Certificate of Completion exam. If you are interested in taking this course for FOA CFOS/D certification, contact FOA at info@foa.org. Wireless communications is growing at an incomprehensible pace. Cellular wireless is looking at upgrades to 5G technology, small cells and video streaming. WiFi is reaching gigabit speeds for enterprise LANs, being deployed in many metro areas and even being used for line-of-sight links in rural areas. All these applications depend on fiber optics for backbones. This new Fiber U self-study program combines the current programs on FTTA (fiber to the antenna) and DAS (distributed antenna systems) and adds lessons on Small Cells, the hottest topic in cellular wireless and WiFi applications. This course is aimed at communications managers and fiber optic contractors who want an overview of how wireless technologies depend on fiber optics and how to implement these systems. Complete the course and case study and you can take the Fiber U Certificate of Completion exam. Cellular data traffic growth has been phenomenal - over 500 times in the first seven years of smartphones. 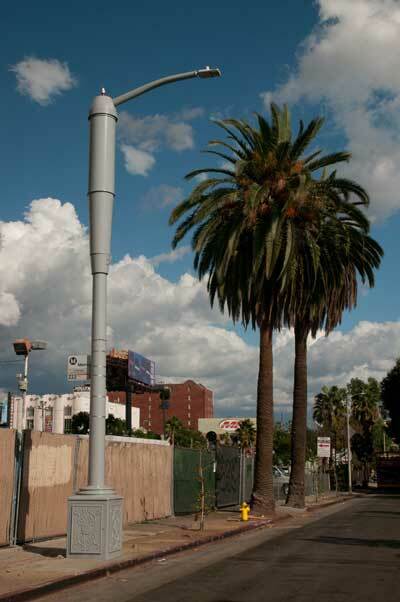 While most antennas are outdoors, most call originate from indoors. While everyone expects cellular connections everywhere, signals have trouble getting inside large buildings, mass transit tunnesl, etc. and regular cellular systems are overloaded in facilities where large groups gather, such as sports facilities or convention centers. The solution to both problems is to install distributed antenna systems that provide adequate coverage no matter how big the crowd or where they are. This Fiber U course covers how a DAS works, its cabling requirements and how they are installed. Complete the course and case study and you can take the Fiber U Certificate of Completion exam. 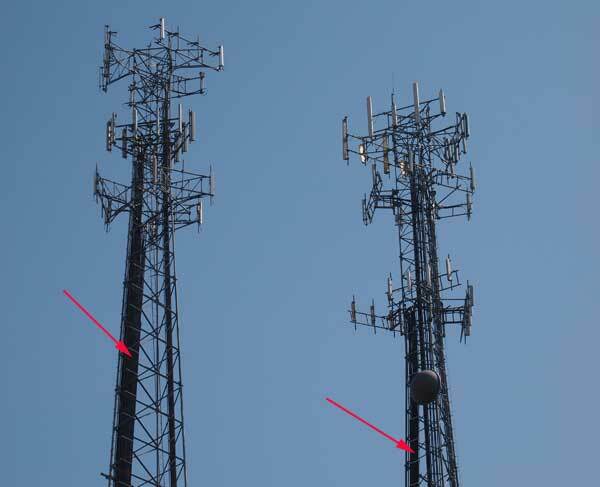 Similar to DAS (above), cell towers have been changing to adapt to the large growth in volume of data traffic over cellular networks. Towers that one had 3 antennas now have a dozen or more. Connecting to those antennas from the base of the tower with traditional coax cables required too much weight and wind resistance for the tower, not to mention cost, so digital systems using fiber optic cables have been replacing the coax. This Fiber U course covers the equipment mounted on cell towers,how cabling connects them and how those cables are installed and tested. Complete the course and case study and you can take the Fiber U Certificate of Completion exam. Data centers are one of the fastest growing areas in information technology and communications, leading to many large applications for cabling. There are many different viewpoints on how data center cabling should be designed and installed, depending on the point of view. 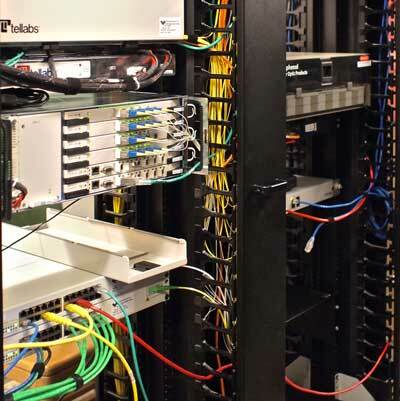 Fiber U takes a unbiased viewpoint to try to understand how users are actually building data centers and creates a short self-study program that can provide a better basis for understanding this important cabling application. Complete the course and case study and you can take the Fiber U Certificate of Completion exam. 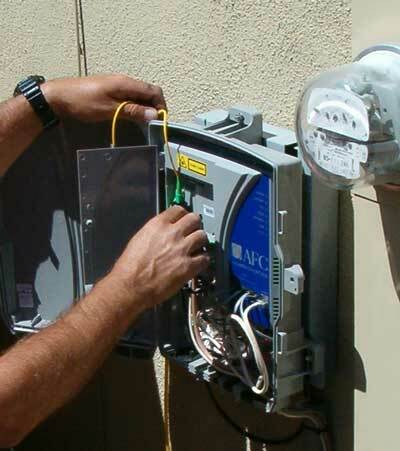 FTTx Fiber To The Home, Premises, Business, Curb, etc. This 6-part series will introduce you to the varieties of ways that fiber optics is moving closer or all the way to the subscriber. While some refer to it as FTTH (fiber to the home), we also have FTTC (curb), FTTP (premises) and even a new acronym, FTTW (wireless), and this self-study program will cover all the varieties. 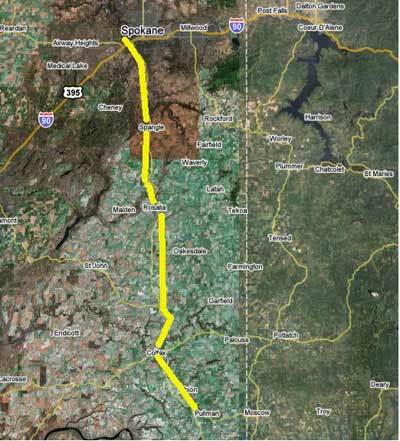 While all varieties of FTTx are covered, most of the course focuses on FTTH PON networks. Take this course and you will learn about all the options for FTTx, what network architectures look like, what standards exist, and get an overview of how they are installed and tested. A final session will cover design of FTTx and give you a design exercise to complete. This course is designed for everyone interested in FTTx. Those new to fiber optics or in management roles can use this course to familiarize themselves with FTTx technologies, while those with fiber backgrounds will learn how to implement FTTx from this course. Complete the course and case study and you can take the Fiber U Certificate of Completion exam. Optical LANs or OLANs, are a new way to build LANs using an all optical fiber cable plant and electronics derived from fiber to the home (FTTH). Sometimes also referred to as fiber to the desk or FTTD, POLs, POLANs, passive optical LANs or FTTO, fiber to the office, these are LANs (local area networks) that are based on optical fiber cabling, not copper, and are of great interest to many contractors, installers and end users. OLANs have been covered extensively in the trade press and are being promoted by many vendors, so there is plenty of interest in learning more about them. This course will provide an overview of the three types of optical LANs, their advantages over traditional LANs and how to design, install and test them. Complete the course and case study and you can take the Fiber U Certificate of Completion exam. Get a "Certificate of Completion" for taking Fiber U online self-study programs. 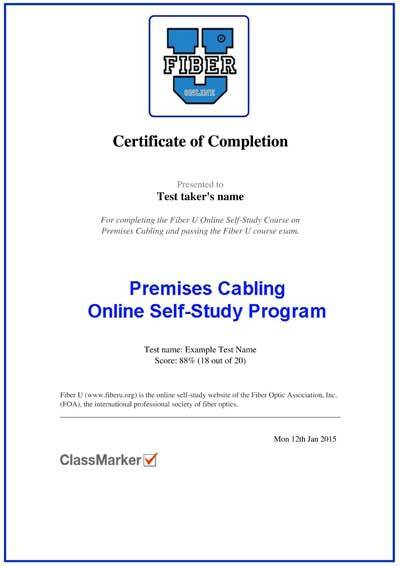 Finish a Fiber U online self-study program and get a "Certificate of Completion" for the course. After completion of these courses, you can take an online exam at nominal cost ($20US) and get a "Fiber U Certificate of Completion" for the online course. For more information on the Fiber U Certificate of Completion program, go here. Unless you already have field experience, you can't get FOA CFOT® or CPCT certified just by taking online courses at Fiber U because you can't develop hands-on skills needed for fiber optics on a computer! But using these self-study courses, you can prepare yourself for training at one of our hundreds of FOA-Approved schools around the world, refresh your knowledge from your own CFOT training or study for FOA exams if you are experienced in fiber optics and want to apply for direct certification. If you do have field experience, you may qualify for the FOA "Work to Cert" direct certification program. FOA has started a LinkedIn group on "Fiber Optic Training" where you will find discussions on fiber optic training, listings of training courses and even some free "instructor-led" courses. 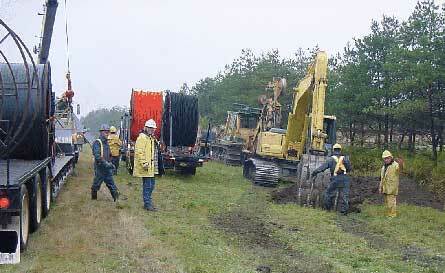 Join the FOA LinkedIn group on "Fiber Optic Training." 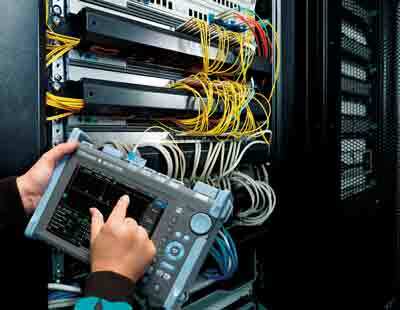 Need need to know how to test a fiber optic cable plant, patchcords or system electronics? Here are "QuickStart Guides" to fiber optic testing that can help you learn it in minutes! 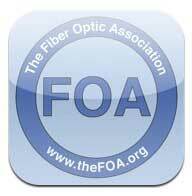 The FOA has an App for the iPad, a self-study version of the FOA Reference Guide to Fiber Optics. The FOA APP builds on the FOA basic fiber optic textbook to create an interactive learning environment. It builds on the iBook electronic version of the book to add a guide to use for self-study and real-time self-testing that provides feedback on what you have learned and correct answers to questions answered incorrectly. The FOA APP is priced at only $9.99, same as the iBook, so the self-study program is free. Download it from the Apple APP Store with your iPad or iTunes. FOA has created these textbooks to be used in training for FOA certifications and as reference books for contractors, installers and end users of fiber optics. Many are cited in the Fiber U self-study courses. All FOA books are available in printed form at Amazon.com, and some also as eBooks on the Amazon Kindle or as Apple iBooks for the iPad/iPhone/iPod. 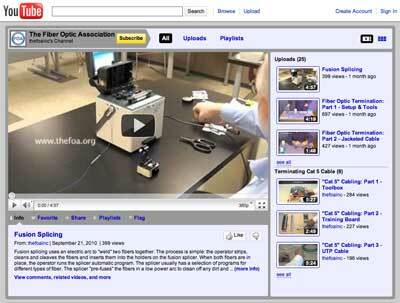 The FOA is using YouTube to host a large number of instructional videos including lecture series on fiber optics and premises cabling plus dozens of hands-on videos. See the FOA Lecture Series and dozens of hands-on instructional videos and lectures about fiber optics and premises cabling on the FOA YouTube Channel - "thefoainc"
Take the short course "Fiber Optics In Communications - And How It Works" - an introduction to fiber optics in communications and fiber optic technology. Fiber U began as a training conference run by Fotec, the fiber optic test equipment company started by Jim Hayes, now FOA President. Fiber U combined lectures by many highly knowledgeable instructors and had participating manufacturers to provide hands-on training on their equipment. During the 1990s, dozens of Fiber U conferences were held as a standalone conference and as part of major trade shows and meetings. Conferences had up to 250 students and 40 vendors, taking over complete hotels and filling conference areas - even parking lots - with training sessions. 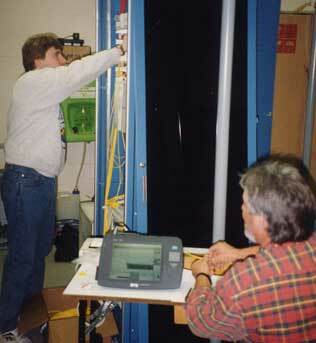 After the 1994 conference, the Fiber U instructors decided that the fiber optic industry was ready to have its own professional society and the FOA was born. Fiber U also pioneered online training, starting in 1997 using techniques just like we use today which we learned from a teacher who was a summer intern at Fotec. Photos from the original Fiber U conferences. Lennie Lightwave was the cartoon mascot created for the original Fiber U conference in 1993. Lennie has been called the most famous guy in fiber optics. 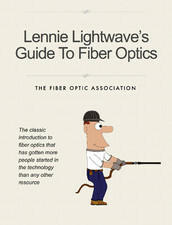 Lennie Lightwave's Guide to Fiber Optics was published 20 years ago as a simple, easy to understand introduction to fiber optics. The web version of Lennie Lightwave's Guide to Fiber Optics was one of the first commercial web pages ever and introduced many people to fiber optic technology. 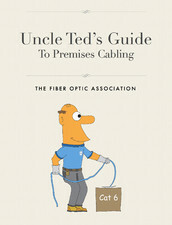 Now Lennie's Guide and Uncle Ted's Guide to Communications Cabling, the premises cabling equivalent, are still two of the most popular sites for getting started in the fiber optics and premises cabling business. This information is provided by The Fiber Optic Association, Inc. as a benefit to those interested in teaching, designing, manufacturing, selling, installing or using fiber optic communications systems or networks. It is intended to be used as a overview and/or basic guidelines and in no way should be considered to be complete or comprehensive. These guidelines are strictly the opinion of the FOA and the reader is expected to use them as a basis for learning, as a reference and for creating their own documentation, project specifications, etc. Those working with fiber optics in the classroom, laboratory or field should follow all safety rules carefully. The FOA assumes no liability for the use of any of this material. All FOA materials are copyrighted and subject to legal restrictions on its use. 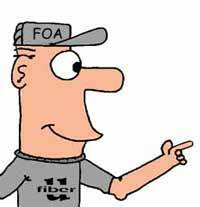 The FOA is glad to have the Fiber U material used for reference, education, etc. as long as the FOA Guidelines are followed and the source of the material (FOA) is identified with attribution. "Fiber U," the Fiber U logo and "CFOT" are a registered trademark of the FOA. (C)2010-19, The Fiber Optic Association, Inc.